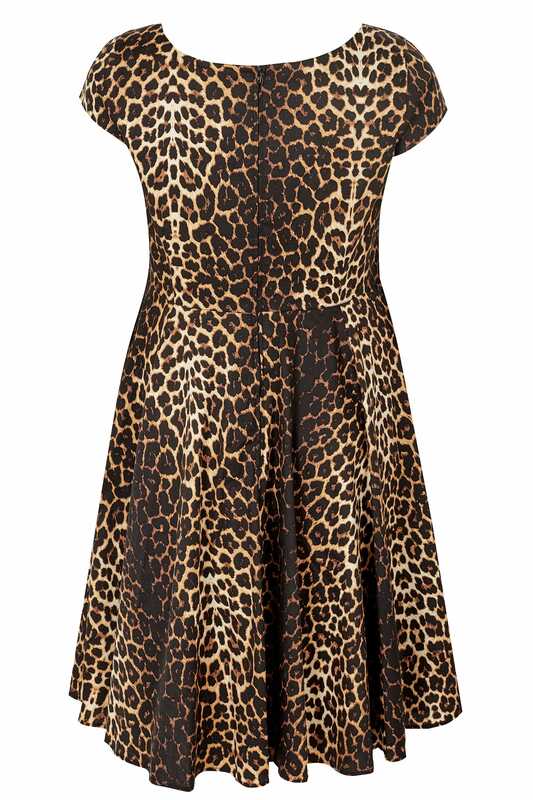 Make a statement with this leopard print dress from HELL BUNNY. 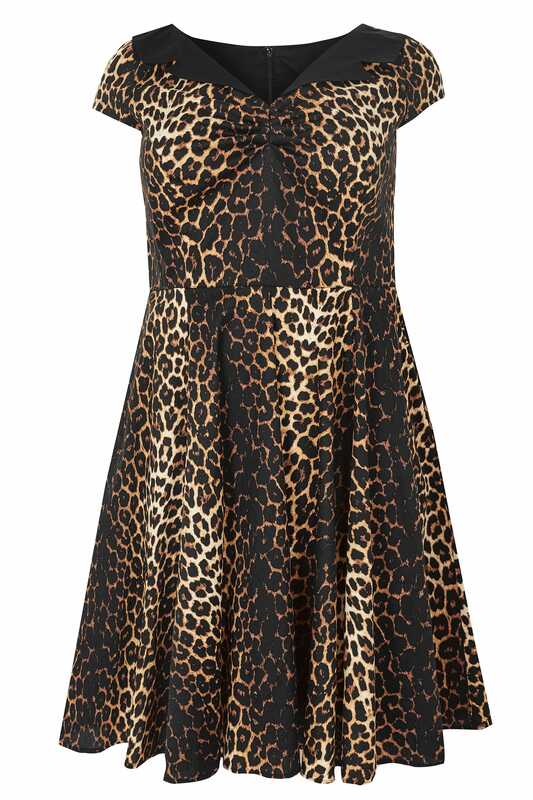 In a flattering skater shape, it features a v-neckline with central ruching to the chest to accentuate your curves. For a bold 50's look, wear with heeled courts and a beehive hairstyle. We love the 50's inspired wing collar.